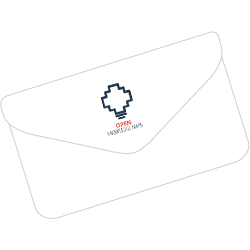 You can sign up for our Newsletter to receive regular updates. You can also follow us on Twitter and Facebook. The Open Science Conference in Berlin is an international conference dedicated to the Open Science movement and provides a unique forum for a wide variety of stakeholders to discuss the present and the future of Open Science. Open Knowledge Maps founder Peter Kraker will give an invited talk at the conference about his #DontLeaveItToGoogle campaign. Peter will show that closed and proprietary infrastructures do not only limit the accessibility of research, but also prevent discoverability. He will discuss how open source services and non-profit frontends such as Open Knowledge Maps help overcome this issue and provide continuous innovation along the research workflow. Register for the conference now to attend the talk on March 20th at 11:20am (CET). Research data are among the fastest growing openly accessible scientific outputs on the web. Unfortunately, the discoverability of this data is seriously lacking, leaving up to 85% of datasets unused. This is why Open Knowledge Maps has started a new implementation network (IN) that aims to change this. The main purpose of the Discovery IN is to provide open interfaces and other user-facing services for data discovery across disciplines. It brings together many well-known organisation and projects working on FAIR data (short for findable, accessible, interoperable and reusable data), including DataCite, OpenAIRE, EUDAT, OPERAS, CESSDA, BASE, CORE, ZBW, and Know-Center. The network is part of the GO FAIR initiative, a bottom-up international approach for the practical implementation of infrastructures for FAIR data, such as the EOSC (European Open Science Cloud). We have developed a brand new workshop to help you improving the visibility of your research online. In this workshop you'll learn how search engines and discovery tools work and how you can use this knowledge to make your outputs more discoverable. We will give practical tips to finally answer the question: "How do I get my research to show up in search engines and discovery tools?" To round things out, we will play a fun and fast-paced game to get to know Open Knowledge Maps better and improve your personal discovery skills. This workshop will be hosted by the working group “Open Science Trainings” of the Open Science Network Austria (OANA), Österreich forscht, and the Ludwig Boltzmann Gesellschaft. Join us in Vienna on April 26 at 10:00 (CET). At Open Knowledge Maps, our aim is to improve the visibility of scientific knowledge. That’s why we partner with organizations that share our goals to develop innovative open science projects that make it easier for you to discover and benefit from scientific knowledge. In addition, these collaborations enable organizations to make their collections more accessible to their users. Do you have public, openly accessible collections, but you do not know how to present these collections to your users? Or do you simply want to check out our present and past collaboration projects to find out about the cool services we have developed? Then check out our brand new project page! We are working on a membership-based funding model. In this model, organisations become supporting members of Open Knowledge Maps and provide an annual contribution. We are happy to announce that our very first supporting member, the Ludwig Boltzmann Gesellschaft (LBG), has joined us. LBG is a longtime collaborator and is now also pioneering this promising path to sustainability with us. Welcome on board! The Ludwig Boltzmann Gesellschaft (LBG) is a research institution with a thematic focus on medicine, life sciences and the humanities, and is specifically targeting new research topics in Austria. 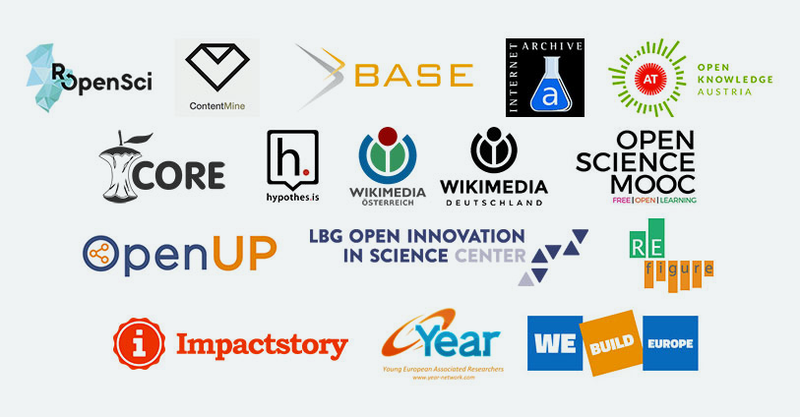 Together with academic and implementing partners, the LBG is currently running 21 institutes and develops and tests new forms of collaboration between science and non-scientific actors such as companies, the public sector and civil society. Socially relevant challenges, to which research can contribute, are to be recognized at an early stage and taken up. The LBG Open Innovation in Science Center, which unlocks the potential of open innovation for science, and the LBG Career Center, which supports 200 PhD students and postdocs, are part of the LBG. The LBG employs 550 people. To provide a sustainable platform for open discovery, we propose to fund Open Knowledge Maps in a collective effort. Donations are part of this plan, which is why we ran our first donation campaign last December. The results make us very happy; with the funds donated, we are able to cover our server costs for 2019. Many thanks for your contributions and all the supportive messages! As a charitable non-profit, we depend on our community. Thanks to your support, Open Knowledge Maps has become the largest visual search engine for scientific knowledge in the world. Today, we ask you for your help with our next challenge: to ensure the sustainability of this platform. This is why we are launching our very first donation campaign. It is pretty simple: If every user gave €3, we could run Open Knowledge Maps for a whole year. With your help, we can not only keep Open Knowledge Maps online, but also develop it further. With your donation you contribute to an open, ad-free discovery service that is used by hundreds of thousands of people around the world. But we do not want to stop there: our goal is to develop Open Knowledge Maps into a collaborative system, so that we can all build on top of each others' knowledge. We hope that you’ll consider how useful it is to be able to discover scientific knowledge. Not only for a select few, but for everyone on the planet. The price of a coffee is all it takes! Peter, Maxi and Chris from the Open Knowledge Maps board. It's Open Access Week (#OAWeek) again! What better way to celebrate than to enable your community to discover all the great open access content out there. To help you with this, we have created training materials for Open Knowledge Maps. This includes presentations with extensive speaker notes, making it easy to introduce Open Knowledge Maps in English and Spanish. We have also put all materials for the Scientific Scavenger Hunt, our workshop concept, online. A step-by-step guide explains, how to play this fun and fast-paced game with your community. Have fun - and share your Scavenger Hunt moments via the hashtag #okmaps with us! It's a wrap! We have now concluded the first iteration of our community outreach program, the Enthusiasts program - and we couldn't be happier with the results. Together, the enthusiasts have reached more than 100 people in 6 cities on 4 continents. Not only have they helped to spread the word on open discovery and OKMaps, but they have also collected valuable feedback, which will inform the development of our next features. Many thanks to our awesome enthusiasts and to all workshop participants! And special kudos to Mari and Ricardo for the translation of our presentation materials into Spanish. In the next iteration of the program we want to explore with you, how we can better integrate OKMaps into your workflow. Join us! By popular request: 2 new features! 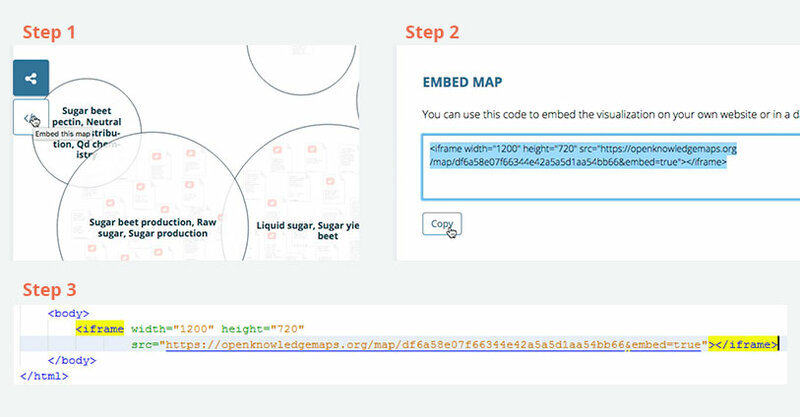 Feature 1: Embed any map in 3 easy steps! Have you ever wanted to share a map with the readers of your blog? Reuse an OKMaps overview on your course website? Provide a collection of your favourite maps for your lab? Here’s the the good news: Now you can! Step 1: Click on the embed button next to a map. Step 2: Copy the code snippet. Step 3: And finally include it on your website. That’s it! That way you can enable your colleagues and friends to get new insights into scientific knowledge! Feature 2: Show only open access papers! In addition, we have implemented another much requested feature: Showing only open access papers within a map. This means, you can easily find out, which papers you can read and download on Open Knowledge Maps - and get started on your research even faster! As always, please share the good news with your network - and let us know of any feedback, bugs or ideas for improvement! The Open Knowledge Maps network is expanding - we now have 16 collaboration partners! Our latest partnerships include Wikimedia Germany and their outstanding Open Science Fellows Program as well as the awesome Open Science MOOC. With both partners, we are working on trainings for open discovery and open science to enable more people to create and benefit from open scientific knowledge. We have also partnered with longtime supporters ImpactStory on their exciting new search engine Get The Research, aimed at enabling everyone in society to benefit from scientific knowledge. In addition, we have joined JROST, the Joint Roadmap for Open Science Tools to design an open science toolchain for researchers. With both initiatives we’re working on better and better integrated tools for open discovery and open science in general. Much of modern research is done in projects. But getting an overview of a research project can be tedious: you are often faced with outdated project websites and dozens of lengthy reports. 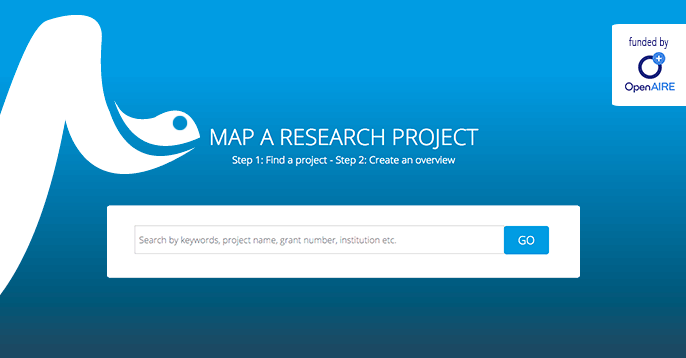 VIPER is here to change that - it is your guide to the world of research projects! Powered by the OpenAIRE infrastructure, VIPER enables you to get automatically created overviews of project outputs and understand their reception in different areas. You can even use VIPER as an automated dissemination page for your own projects. Today, we are taking a big step towards participatory development. We are launching our community outreach program, the Open Knowledge Maps Enthusiasts! The Enthusiasts are power users and ambassadors from all over the world, who spread the word in their communities, report feedback, and provide input on various aspects of Open Knowledge Maps. 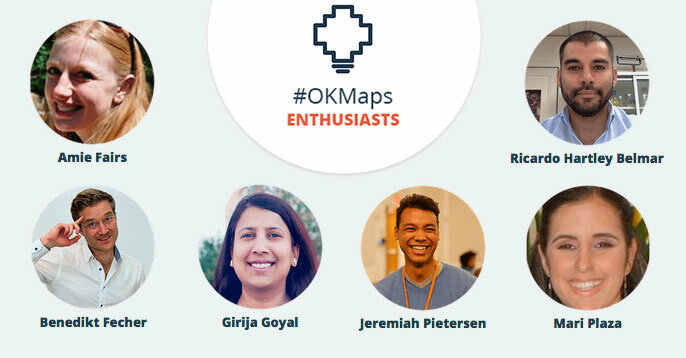 Open Knowledge Maps is fueled by user feedback, and we have established this program to highlight the importance of our community and their critical role in shaping OKMaps. So please welcome with us Amie Fairs, Benedikt Fecher, Girija Goyal, Ricardo Hartley Belmar, Jeremiah Pietersen, and Mari Plaza! These six outstanding proponents of open discovery will not only run workshops and a variety of other activities on four different continents - they will also help us shaping the Enthusiasts program. We would like to thank Mozilla and the Sloan Foundation for providing financial support for establishing the Enthusiasts program. For more info on the program and to learn how you can become an Enthusiast yourself, check out our brand new community page. Together we can change the way we discover research! What do snakes and the visualization of research projects have in common? The answer is: VIPER. VIPER stands for VIsual Project ExploreR, a unique open science application that focuses on the discovery of research project results. VIPER will enable you to systematically explore a project's output and to understand its impact in different areas. VIPER is made possible thanks to OpenAIRE, a key infrastructure that enables the European transition to open science. At the end of 2017, OpenAIRE launched an open call for tenders, seeking innovative ideas that would improve the OpenAIRE infrastructure services and/or their overall uptake. We are delighted to announce that Open Knowledge Maps's proposal has been among the 5 winning bids. To realize this idea, we will create knowledge maps for more than 700.000 projects by 15 funding agencies in OpenAIRE's massive database. VIPER exploits a unique property of OpenAIRE data: the link between projects and publications and datasets. Stay tuned for more infos and updates! We constantly receive useful input from you, which we incorporate in our development. Here are a few examples of changes that the Open Knowledge Maps team designed and implemented over the past few weeks based on your feedback. 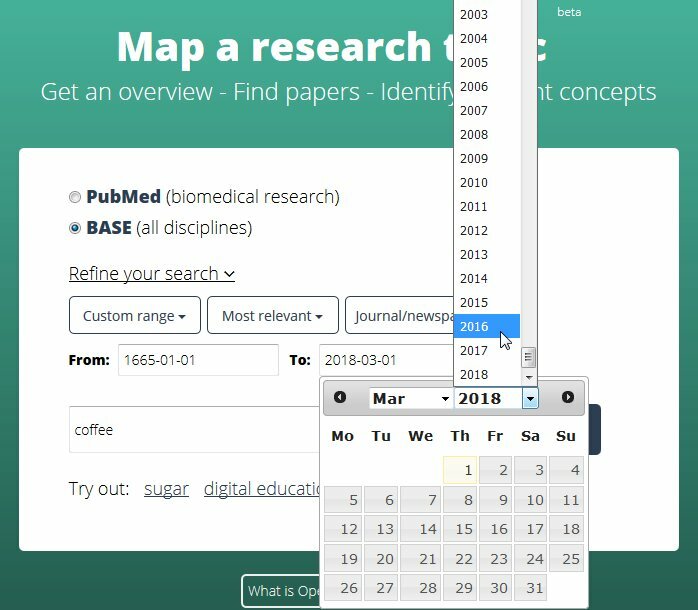 The datepicker in the search box was not very useful. We've improved its behaviour and appearance and made the year selectable from a dropdown. It was not always clear where you need to click in order to zoom in or zoom out. We have introduced new mouse cursors to clearly signal this behaviour. It was not possible to copy and paste the bubble title when zoomed into a bubble. Now you can! So, please keep the feedback coming. Together, we can change the way we discover research! We are happy to announce that Know-Center has joined the Open Knowledge Maps core team as our very first organizational member. Know-Center will support Open Knowledge Maps with a considerable contribution allowing us to cover our operational costs and grow as an independent organization. This is the next step in what has been a longstanding partnership between the two organizations. Peter Kraker, founder and chairman of Open Knowledge Maps, laid the foundations for the organization whilst at Know-Center, and Know-Center has been a strong partner and advocate ever since. "At Know-Center, knowledge transfer is a key part of our mission. Open Knowledge Maps is a revolutionary tool in this regard, a window into science. Through this window, researchers, practitioners and citizens can explore the wealth of scientific knowledge in a much better way than before. We are excited to be a part of this unique open science endeavor." "We are thrilled to take our partnership with Know-Center to the next level. If recent market entrances are any indication, discovery will be one of the key areas of the digital research infrastructure. Having Know-Center on board goes a long way in making Open Knowledge Maps a sustainable building block of the open science ecosystem." In our joint effort to become ever more open, we have also agreed to switch the license of the open source knowledge mapping framework Head Start from LGPL to MIT. 2.5 million new research papers are published each year. That makes staying up-to-date a hard task - and it keeps you from doing actual research. But did you know that you can easily keep yourself updated using Open Knowledge Maps? Just select the option “Most recent” in the “Refine your search” section. Our award-winning software then creates a knowledge map based on the 100 most recent documents for your search term. 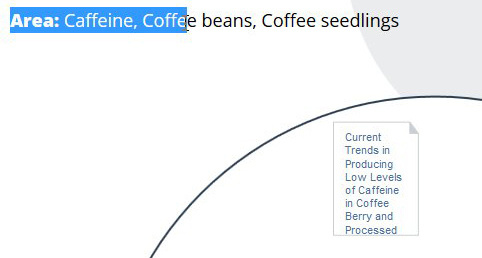 That way you get an instant overview of the hottest topics in your field. Let Open Knowledge Maps help you get a head start on your literature research in 2018. We're proud to announce that we have become a member of the Leibniz Research Alliance Science 2.0 and the Open Access Network Austria! The Leibniz Research Alliance Science 2.0 examines the effects of Science 2.0 and open science on science and society. The Research Alliance is incorporated in the Leibniz Association and coordinated by ZBW – Leibniz Information Centre for Economics. Its mission is currently advanced by 37 association partners from different disciplines. The Open Access Network Austria (OANA) develops recommendations for open access and open science activities of Austrian research institutions, funding organisations and research policies. OANA has over 60 member organisations and is a joint activity under the organisational umbrella of the Austrian Science Fund (FWF) and Universities Austria (UNIKO). "By joining OANA and the Research Alliance Science 2.0 we're showing our ongoing commitment to supporting and advancing open science," says Peter Kraker, founder and chairman of Open Knowledge Maps. 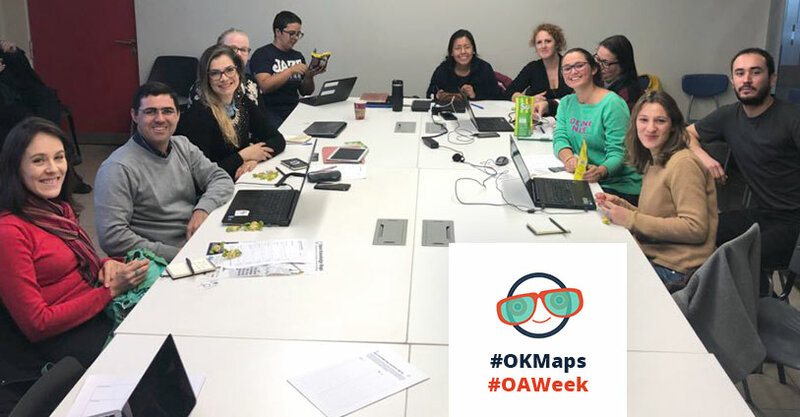 In celebration of the International Open Access Week, OKMaps team members will participate in various events centered around open science and open knowledge - and we would love to meet you there! Join us at FORCE2017, where we will host a demo on Thursday and a scientific scavenger hunt on Friday. Or catch up with our workshop at Ecosystems of Open Knowledge (ECA 2017), the largest library-related event in Spain, at University of Salamanca. In addition, you will find us at WikidataCon and MozFest. We are looking forward to discussing open science and discovery of research findings with you. In the past months, many of you have supported us in a wide variety of ways: by promoting Open Knowledge Maps in your communities, by posting maps on social media, or by providing feedback and suggestions in our survey (107 responses!). As a result, Open Knowledge Maps is growing and reaching more and more people around the world. We were also honored to receive the Open Minds Award by the Austrian open source community. Thank you so much for your outstanding support and keep spreading the word of open discovery! The award considers open source projects, which enable widespread participation and collaboration. The jury of Linuxwochen Austria acknowledged Open Knowledge Maps especially for enabling users to see the big picture of scientific findings. Peter Kraker, founder and chairman of Open Knowledge Maps, accepted the award on behalf of the project team on Tuesday evening. In his acceptance speech, Peter emphasized the collaborative and voluntary nature of the project and thanked the international Open Knowledge Maps community - our team, advisors, partners, and users - for their incredible effort and support. A big shout out to all our supporters - THANK YOU! We want to improve your experience with Open Knowledge Maps - and for that, we need your feedback! We invite you to fill in a short survey (5-9 mins), which we have created in collaboration with FH JOANNEUM - University of Applied Sciences in Graz, Austria. Please click the button below to get to the survey and have your say in the future development of Open Knowledge Maps. We are honored to be nominated for the Open Minds Award, the Austrian Open Source Award. The award considers open source projects, which enable widespread participation and collaboration. Thanks to you, the Open Knowledge Maps team & community, for your continued support! A major update to Open Knowledge Maps makes it much easier for you to share your favorite maps with others and jointly discover amazing research. It's simple: click on the share buttons next to each map to post it to a social media service of your choice - including a snapshot of the actual map. In addition, we've improved the quality of our maps and the usability of our website. So we invite you to visit the all-new Open Knowledge Maps to re-search old favorites and investigate new topics! We are honored to partner with Citizen Science Network Austria to support citizen science as an inclusive approach to knowledge creation. This emphasizes our strong commitment to improving visibility of scientific findings for science and society alike. 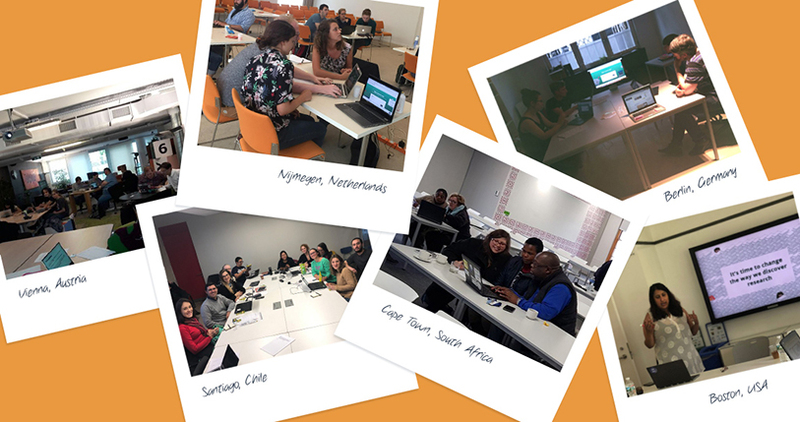 During Mozilla's Global Sprint on June 1st & 2nd, the Open Knowledge Maps team got together to improve the quality and usability of our knowledge maps. The sprint continued into last week and after much polishing, we have now released the new version on our site. Enhancements include improved naming and clustering as well as a higher visibility of open access papers. We are honored to join Annotating All Knowledge, a coalition of more than 60 organisations aiming to create an open annotation layer over all scholarly knowledge. At Open Knowledge Maps, we support this goal, because we believe that open and collaborative processes will change the way we explore and discover research. As a first measure, we have enabled open annotation of all PDFs within our interface by integrating Hypothes.is into our "Preview PDF" window. Open Knowledge Maps is coming to Berlin again - this time for #rp17. With more than 8,000 participants from around the world, re:publica is one of the largest conferences on digital culture. We are looking forward to connecting to a diverse set of communities and to meeting new and old friends. If you're at the conference, don't miss our lightning talk on Monday, May 8 at 4:30pm. We are happy to announce that Open Knowledge Maps is now connected to one of the largest academic search engines in the world: BASE. For the first time you are able to visualize a research topic in any discipline. 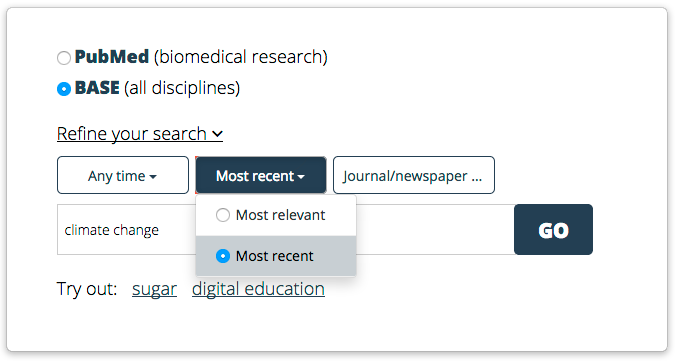 In addition, you can now search within different types of resources, including datasets and software. We would like to thank the BASE team for their outstanding support in making this happen! We have also spent a lot of time improving the naming of the sub-areas to make the concepts in a field more visible - which means that this update improves our existing PubMed integration too. As always, we welcome any feedback you may have! Open Knowledge Maps is coming to Berlin this March with a big surprise up the sleeves. Make sure to visit our poster during the poster session or talk to us at the barcamp, for which we have proposed a session. We will be happy to discuss all things OKMaps and to demonstrate the latest and greatest features. We will also be revealing a big surprise 🎉 So join us from March 20 to 22! A BIG THANK YOU to our community! Great things have happened following our launch of the DOAJ and PubMed integrations. We saw a broad coverage on the web, including an appearance on the Reddit front page in early November and an article in c't magazine. More than 44,000 people visited Open Knowledge Maps in November, and almost 25,000 maps have been created to date. We have also introduced Open Knowledge Maps at numerous events including MozFest, OpenCon & OpenCon Berlin, and NetzPat Vienna to name just a few. In total, over 230 people attended our workshops and sessions. The positive feedback was overwhelming and we want to thank our emerging community for their great support. Loads of you have posted great comments, written articles and spread Open Knowledge Maps in your respective communities, posted issues and ideas on Github, or become part of the team and advisory board. A BIG THANK YOU! We are happy to see everyone getting involved and we are also thinking about new ways to make it even easier for you to be part of the Open Knowledge Maps community in the future. Together we can revolutionize discovery! PubMed and DOAJ integration is here! Over the summer, we have been working hard to provide you with visualizations that cover broader content sources. Now, our integration of PubMed and the Directory of Open Access Journals (DOAJ) is finally here. 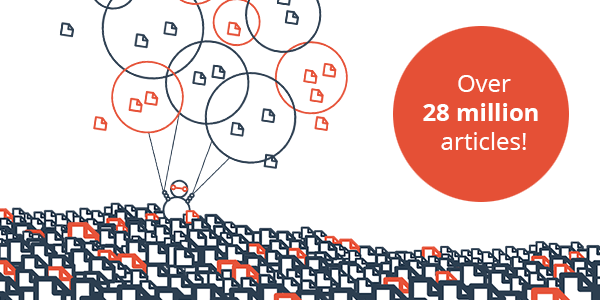 This means that you are now able to search within more than 28 million articles. In addition, we have completely overhauled our design and improved the user experience considerably - including the integration of the open annotation software Hypothes.is in our PDF preview. Try it out and let us know what you think! 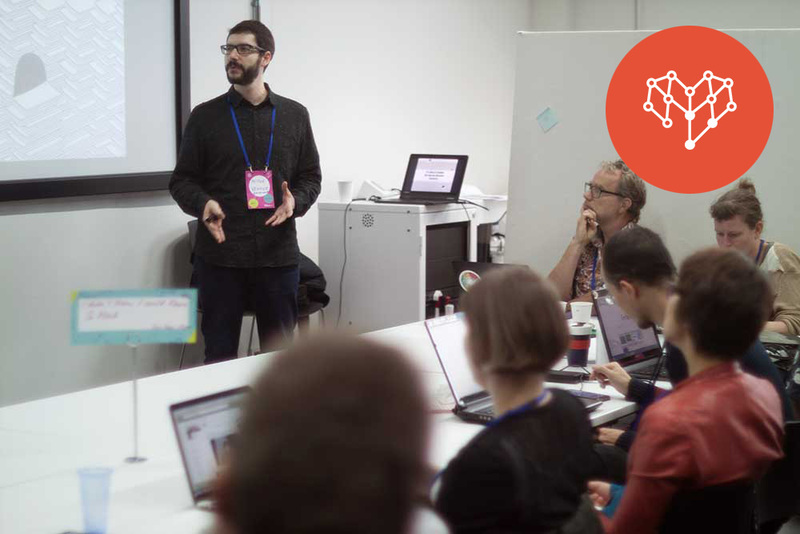 Open Knowledge Maps premiered in an exciting session at Mozilla Festival 2015 - and this year we are returning with an action-packed program including demos and a hands-on session. We will demonstrate how you can use OKMaps not only to discover the literature that you need but also to improve your understanding of the structure of your research area. Join us in London from October 28 to 30! Our very first meetup in cooperation with OK-AT and ÖAW BAS:IS will take place at the historic Austrian Academy of Sciences on October 24 at 18:00 CEST. Join us for an evening of hands-on action with Open Knowledge Maps & a discussion of literature research strategies and the future of discovery.